A Trick To End of Your Chocolate Fix? Over the past month, I’ve been plagued with the most unbelievable chocolate cravings. Everyone has been there—a few hours after lunch, waiting for dinner, after dinner—anytime is fair game for a craving to strike. Chocolate cravings are definitely not out of the ordinary for me, but I began to wonder if there was a way to curb my desire. This thought brought to my mind a piece of advice my older brother had given me a few years ago: try magnesium for chocolate cravings. Clearly, I didn’t listen to him; it sounded like nonsense to me. But according to my brother, who generally ate at least one Hersey bar a day, it stopped his craving dead in its tracks. He didn’t even have to try to resist anymore, he just naturally didn’t need it. Remembering his small nugget of wisdom, I decided to do what any other reasonable person would do—I googled it. And as it turns out, pages and pages of testimonials came up with the same conclusion, magnesium works to prevent even your deepest longing for the fruit of the cocoa tree. Cravings come about for many reasons and the science behind their source is patchy at best. However, one explanation that often comes up is that cravings come about when your body needs something. It’s a neat bit of evolution really, if your body decides you are deficient in a vitamin or mineral, it forces you to think of only eating that thing until you eat it. Does that explain your 2am craving for pickles? Probably not, but it can shed light on some of your other cravings. In so many words, I cannot guarantee the end-all be-all to chocolate cravings but I certainly plan on marching down to CVS and trying out a magnesium supplement for myself. 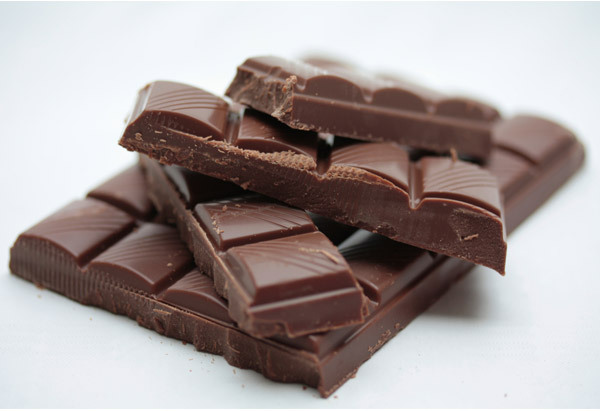 In addition to a potential end to crippling chocolate cravings, Magnesium boasts a multitude of other health benefits including improved sleep, improved mood and an overall healthier body. And if you don’t feel like taking an extra supplement, try to eat more nuts (almonds, cashews, walnuts), leafy green vegetables and beans. All contain naturally high levels of magnesium and all take a backseat in the average American diet. DISCLAIMER: I am not and do not claim to be a registered dietician or nutritionist. Therefore, the advice you see on this website has been researched, but does not come from someone with professional experience.